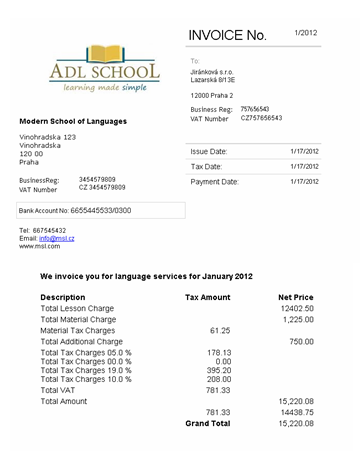 For public courses all the courses and extras (fees, books etc.,) you offer are kept in a Master Price List. 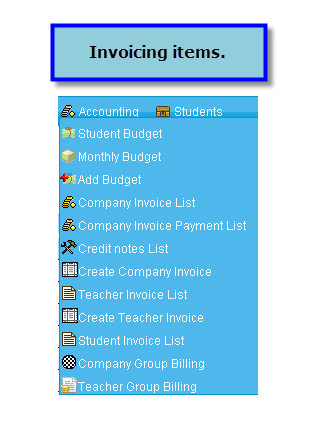 This makes the invoicing process very simple – just click on the items the student is buying and all the data is transferred automatically. Can be created easily and issued in the name of course participants, parents’ names or any other kind of recipient. 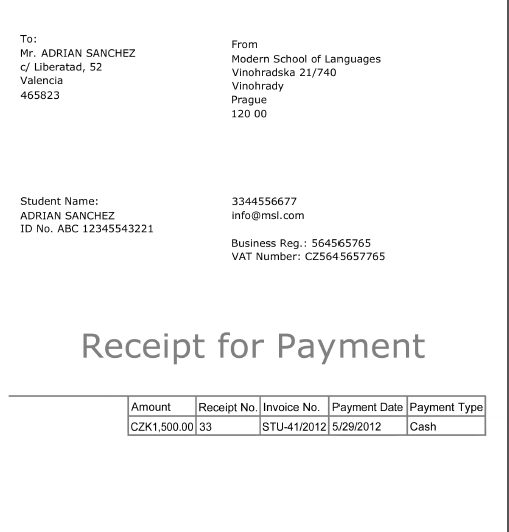 Print beautiful receipts and invoices. 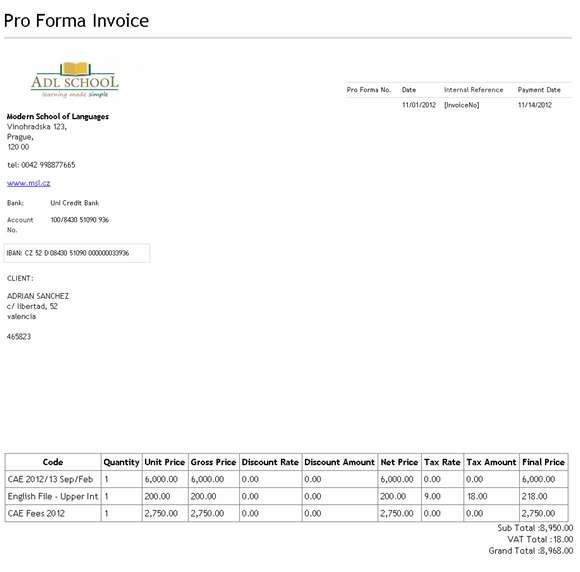 All your invoicing documents can be printed directly from ClassMaster and customised with your logo, school name, contact details and extra payment instructions. 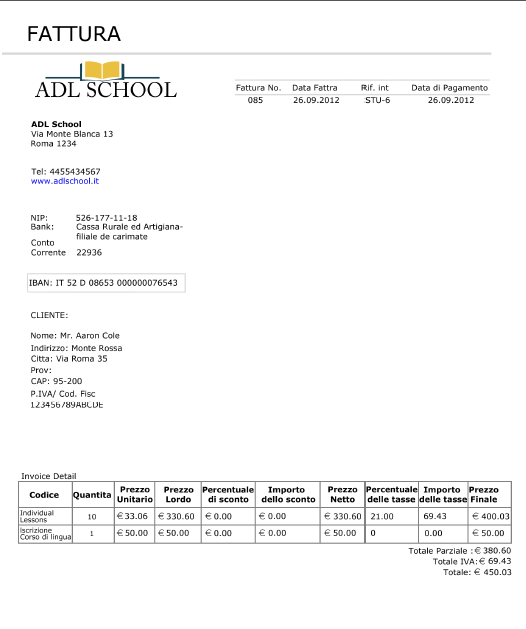 Print directly from the system.